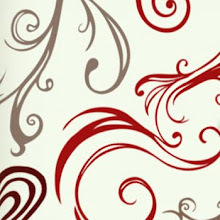 Over which wax do we wax rhapsodic? Wick's Wax, of course. 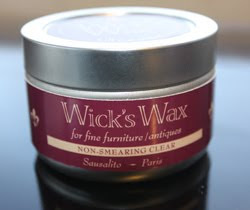 This locally-produced wax was created specially by Rick Morton, a fine antiques restorer in Sausalito for his clients including Butterfield and Butterfield and Cabana Home. It has all the qualities we appreciate in a superior furniture wax: professional results, lots of rich carnauba and bees wax, non-smearing, no harmful effects on the furniture and someone to apply it is easy to apply.